J.G. 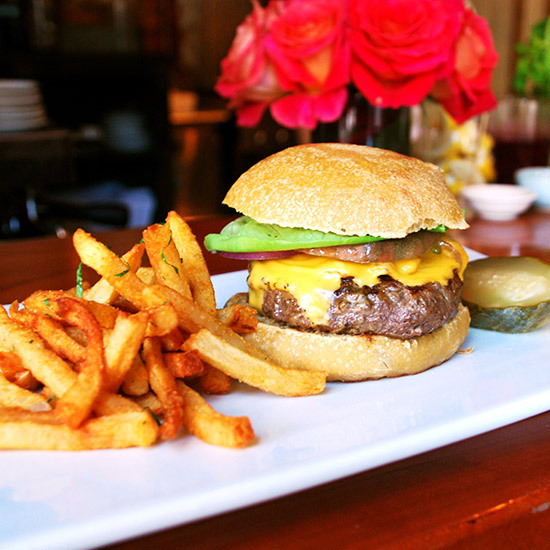 Melon is a preppy Upper East Side institution serving up one of the best burgers in NYC. I don’t think I am merely being sentimental in my choice of Melons, because every person I have brought here falls under the charm of this incredible establishment. I have been going for years and the burger is always delicious and in my mind the perfect size. You can’t go wrong with their juicy burgers with a perfectly toasted bun and excellent cottage fries. This fall weather has me itching to head uptown, grab a seat on the sidewalk and have my favorite NYC burger. If you are looking for a cozy old school old spot with a great NYC vibe look no further, this is your spot for a burger and beer or a damn good Bloody Mary. I don’t believe a proper NYC burger list can exist without mention of Minetta Tavern. The legendary Black Label Burger lives up to all the hype! This is the first burger I have ever eaten where I did not need or miss cheese and ketchup. I recently went with a group of friends and the burger was so amazing that none of us left anything on the plate. The caramelized onions, special Pat La Frieda blend and lightly toasted brioche bun from McNally’s Balthazar Bakery make this one of the most delicious burgers out there! I love the whole vibe of this old school restaurant and if you aren’t in the mood for a burger there are plenty of other delicious menu items to chose from. Run don’t walk to make a reservation at Minetta and eat this burger! PS. If you have room for dessert, the Chocolate Soufflé is amazing! Burger Joint serves a great no frills fast food style burger. Maybe not in the same league as the other burgers on the list but for a backyard grill style burger look no further. Shake Shack is another superbly delicious fast food style burger. When the weather is nice, I can think of no better spot to meet a friend for lunch then Shake Shack at Madison Square Park. Shake Shack is another burger on the list with a custom made patti from Pat LaFrieda. If you like a little more meat with your burger I would recommend the double Shack Burger with its addictively awesome shack sauce! The Little Owl is the neighborhood restaurant everyone wishes they had. This tiny corner spot serves up some seriously good food. A perennial favorite of mine, I love everything on their menu. When I am craving a great burger for lunch this is the first place that comes to mind! Their amazing LaFrieda patti topped with bacon and cheese is only available on the lunch and brunch menu but is certainly worth stopping in for. If you are a blue cheese lover, I highly recommend heading over to The Spotted Pig for April Bloomfield’s chargrilled masterpiece. The waits can be long but the reward is high and I am a sucker for the Bloody Mary’s there.